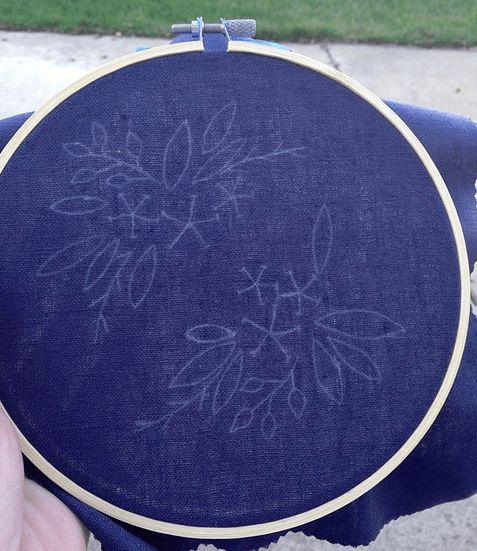 I wanted to try hand embroidery on some dark blue fabric, so I went out and got some blue linen to experiment with. 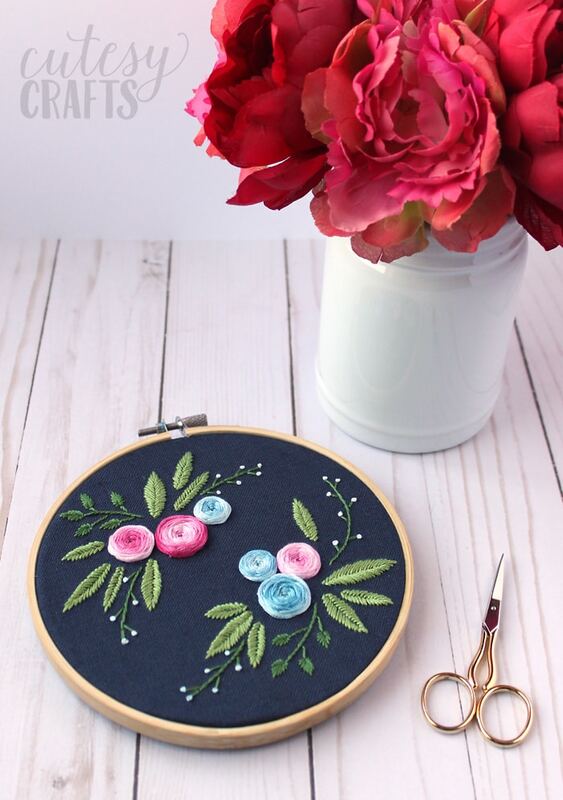 The result was this pretty little floral embroidery pattern with woven wheel flowers (my favorite). I also wanted to test out using color variations floss for the flowers, and I am so happy with the outcome! This is a pretty easy one to stitch up, and it gave me lots of practice with my fishbone stitch. Anyone else have trouble with that one? I’ll get it down one of these days. Still looks good though, so I guess it doesn’t matter. 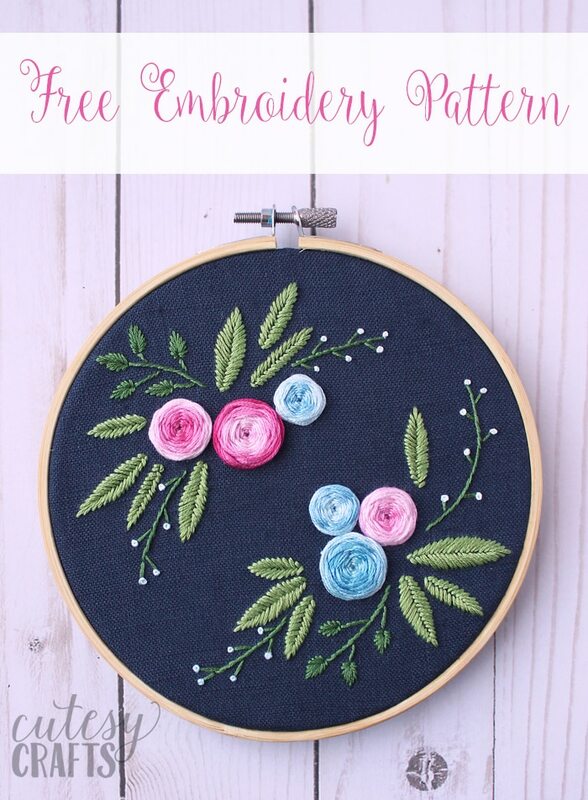 If you need help with any of the stitches, I have video guides on my embroidery stitches guide page. When transferring onto dark fabrics, you’ll need to use white carbon paper. All you do is place the carbon paper over the fabric, place the pattern on top of that, and trace the pattern firmly with a pencil. The design will transfer onto your fabric. This entire hoop is made with only four colors. 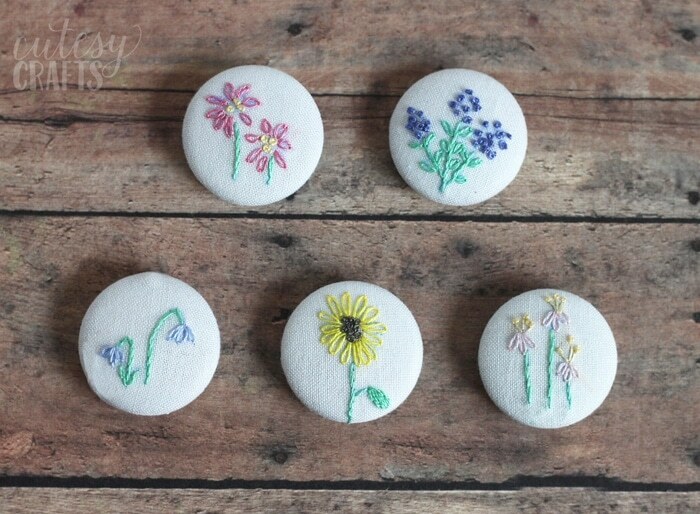 I absolutely love how using different parts of the color variations thread produced different styles of flowers. I think my favorite is the pink one that started light in the middle and faded to darker pink. 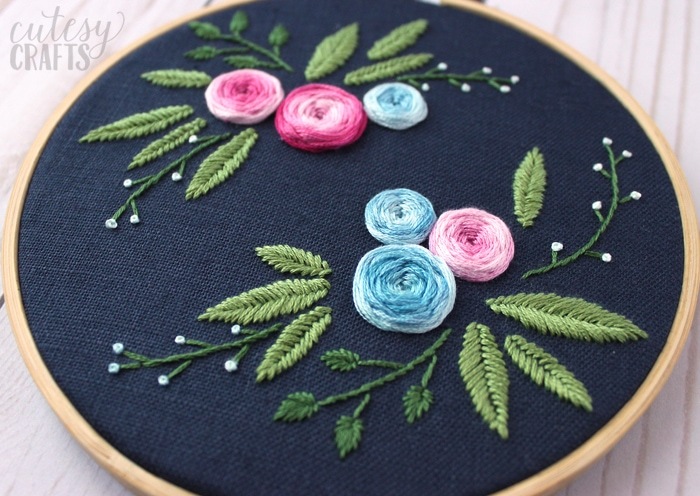 I labeled the small leaves as a satin stitch, but they are somewhere between a satin stitch and a fishbone stitch. I wasn’t really sure what to call them. You start out just like you are doing a fishbone stitch, but the first stitch from the top is really long. It should come down almost to the base of the leaf. You come in from each side, like a fishbone stitch, but you bring the needle down in the same hole a few times at the base. If that doesn’t make sense, watch this video on my YouTube channel. 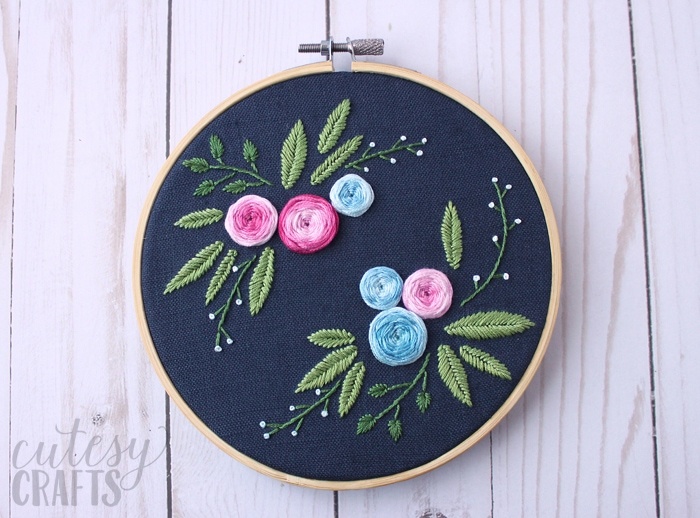 I’m planning on displaying all of my hoops on a wall in my craft room, and this one will make a really cute addition. 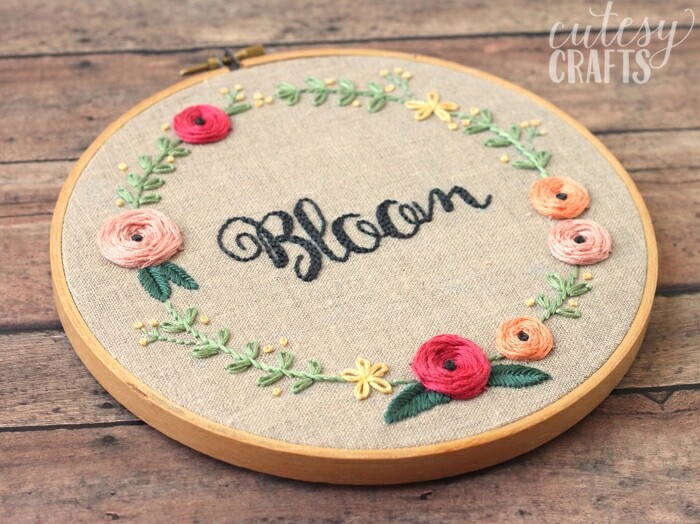 Take a look at my other hand embroidery designs for more inspiration, and find out how to back an embroidery hoop with felt. 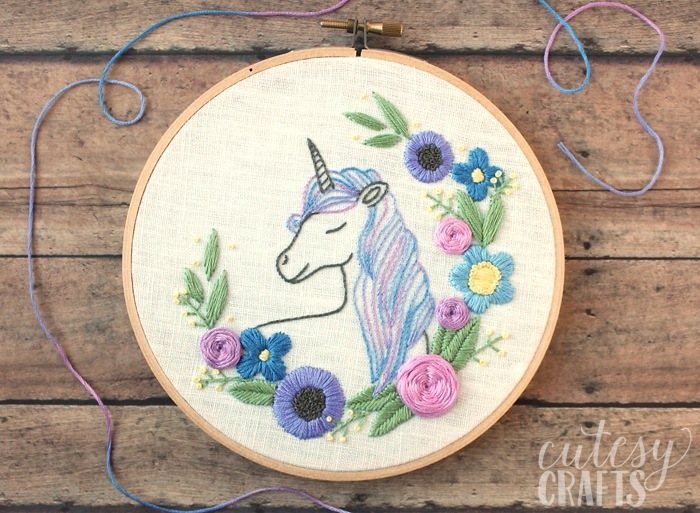 I’ve got lots of free embroidery patterns! I love your embroidery. So pretty!! 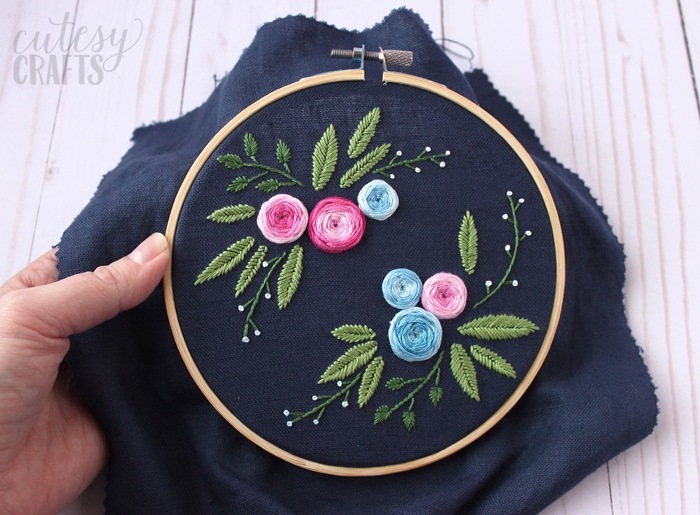 I’m attempting this hoop right now, and I was wondering if you could upload a video of how you did the small leaves? I’m a little confused on how you stitched them. Yes, I try to record videos on Wednesdays. I’ll try to get one up in the next week or so.